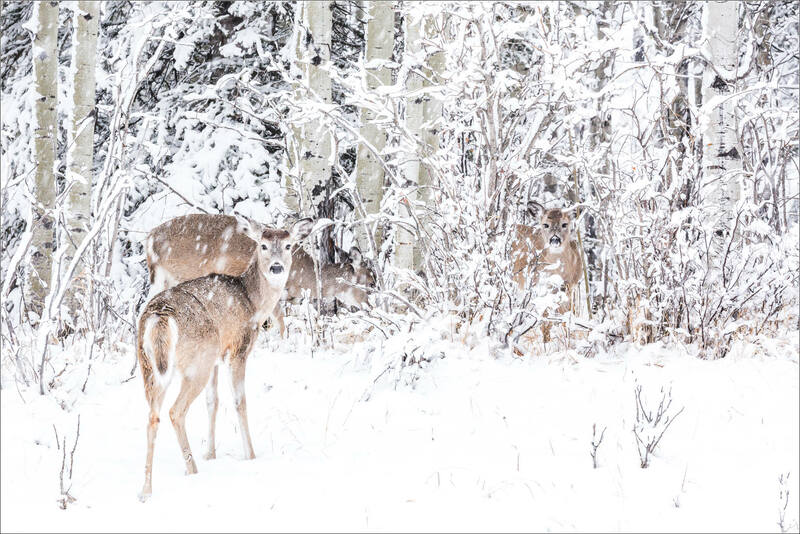 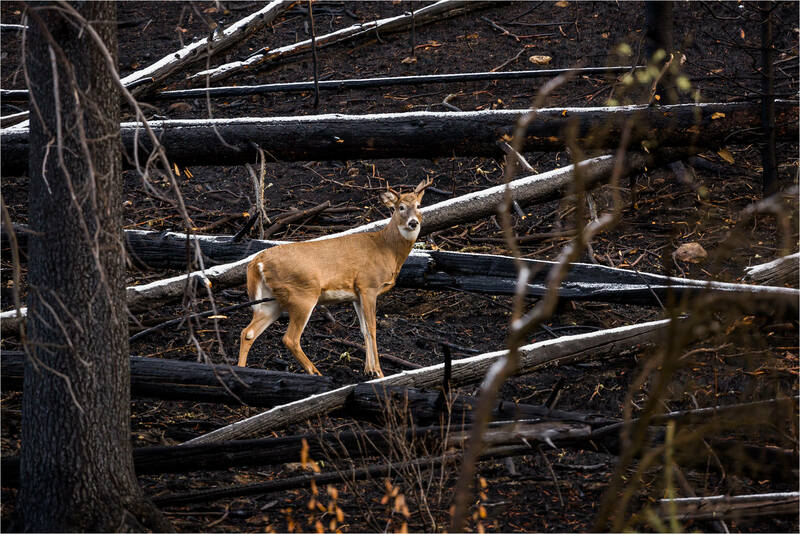 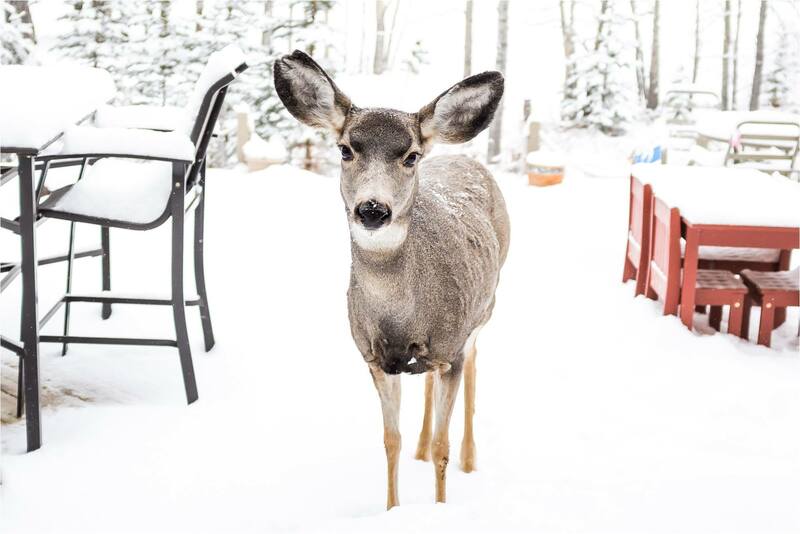 I found this beautiful doe and her fawn in Kananaskis Country – they were kind enough to stay for a minute and let me take a family portrait in the forest. 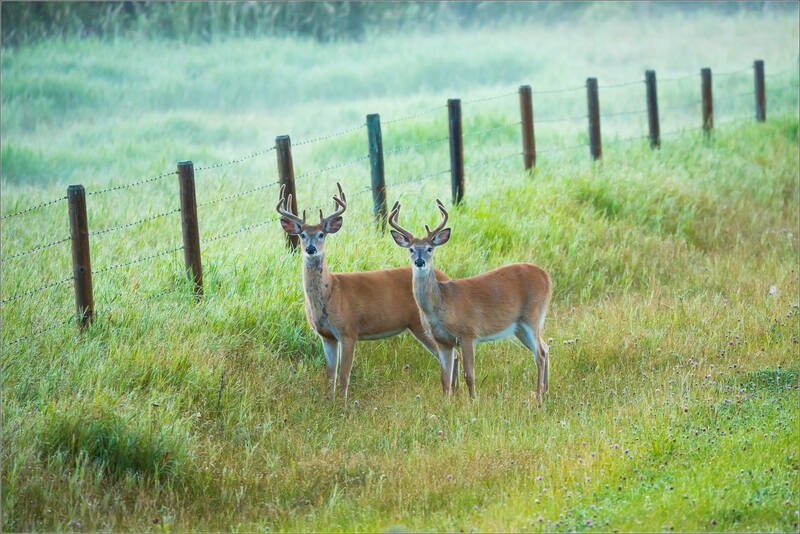 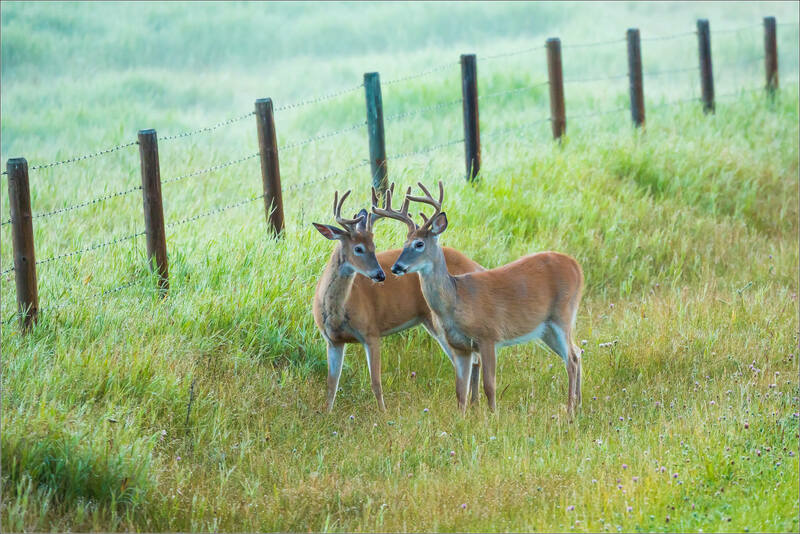 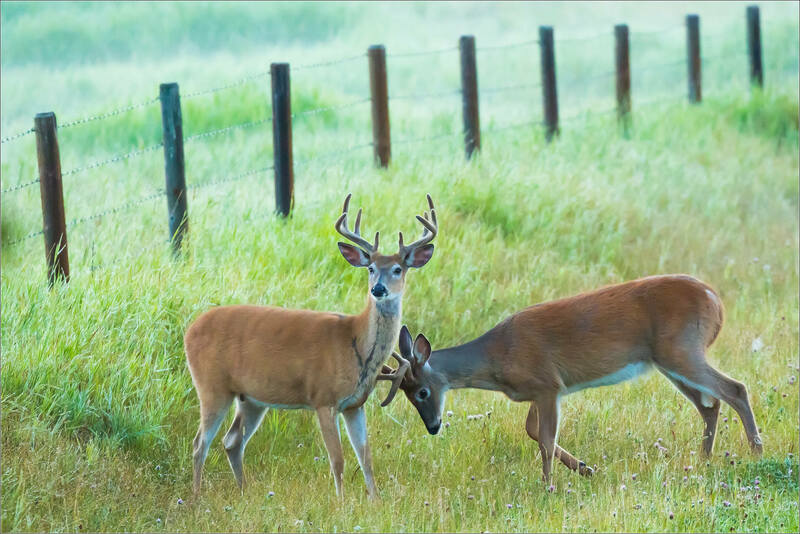 I found this pair of White-tailed deer on a misty morning a couple of weeks ago. 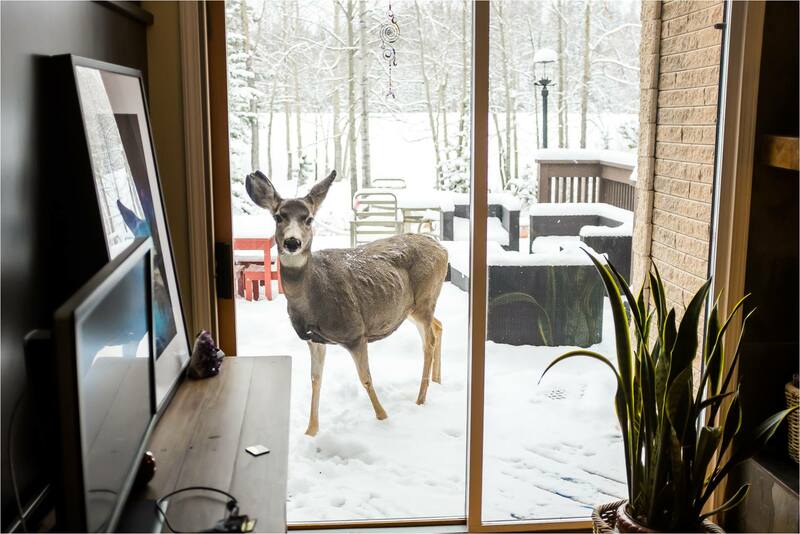 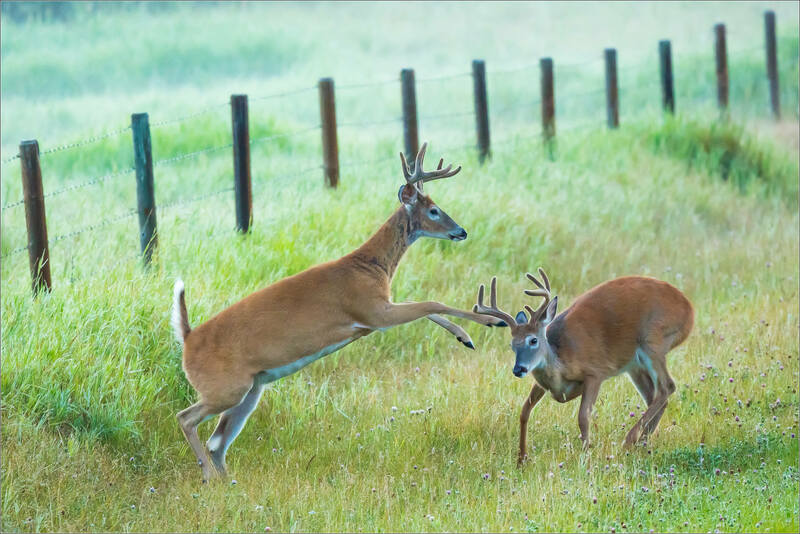 The stag on the right jabbed the other a couple of times. 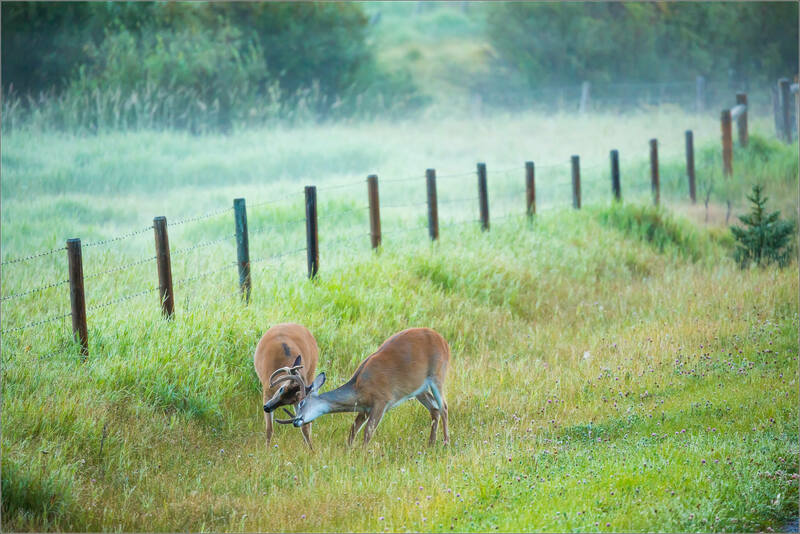 It took a bit of prodding, but they eventually jousted for a few short skirmishes before going back to grazing in the dew-soaked field. 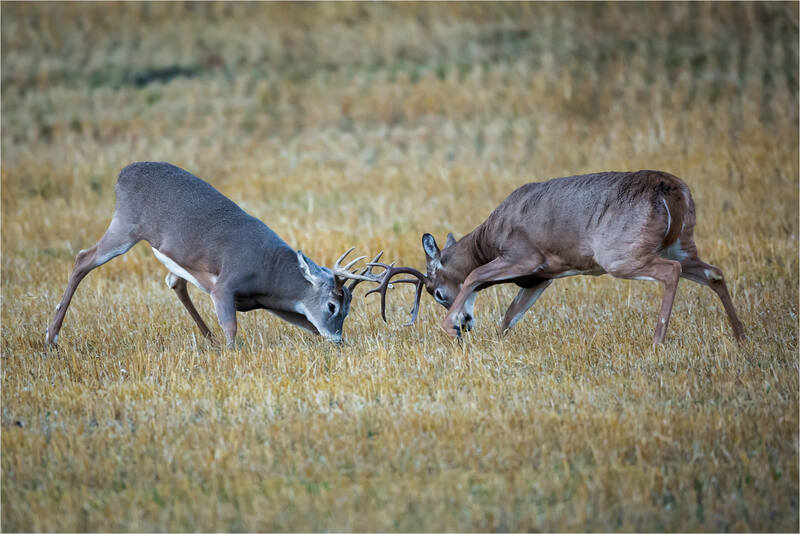 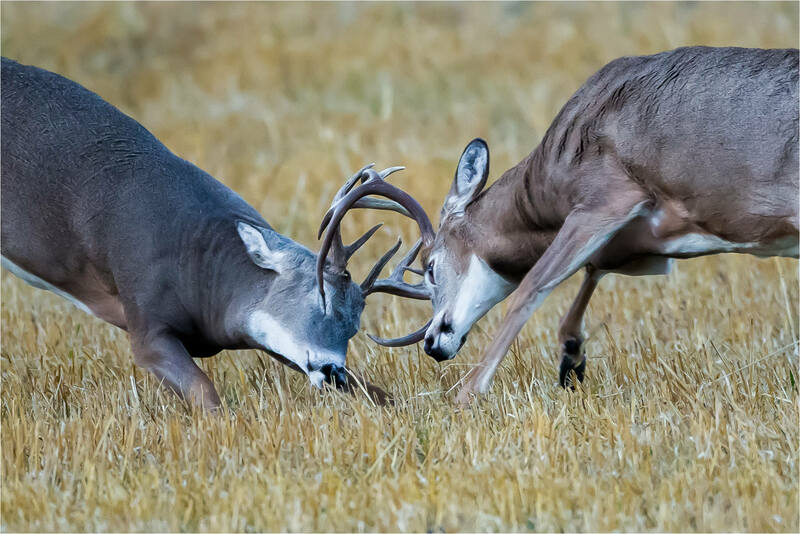 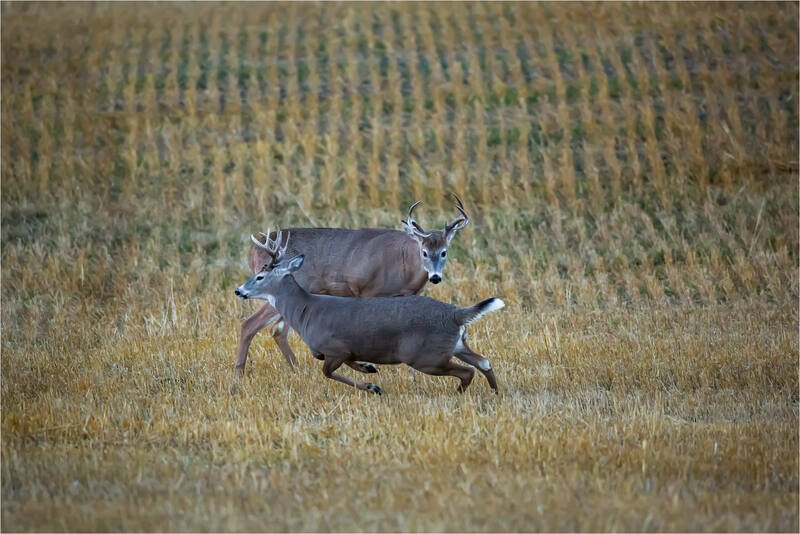 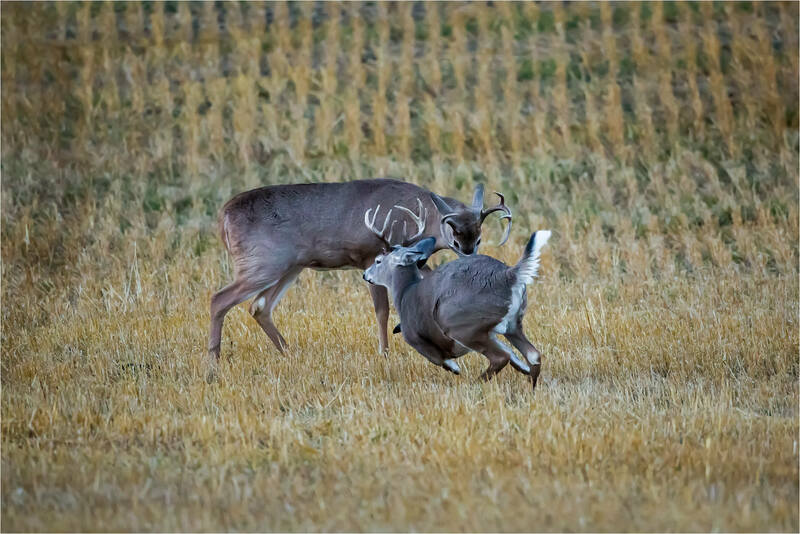 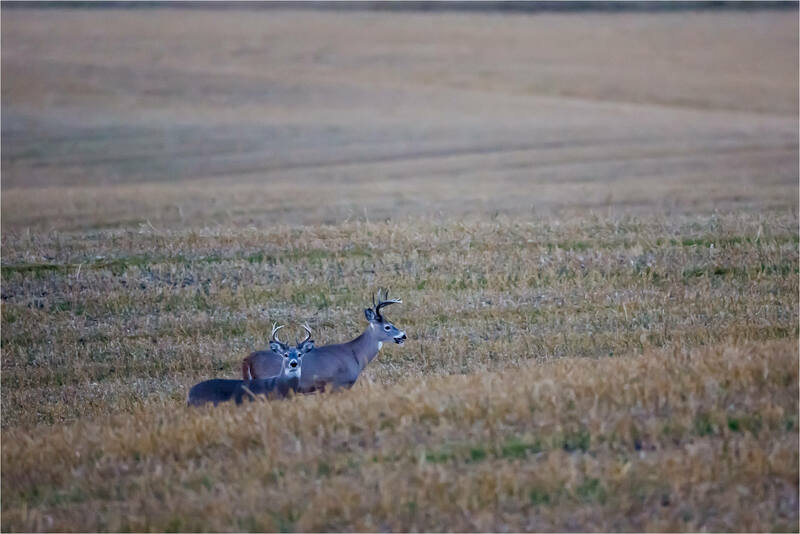 The rut will come in a few weeks, it seemed these two were getting in a little practice. 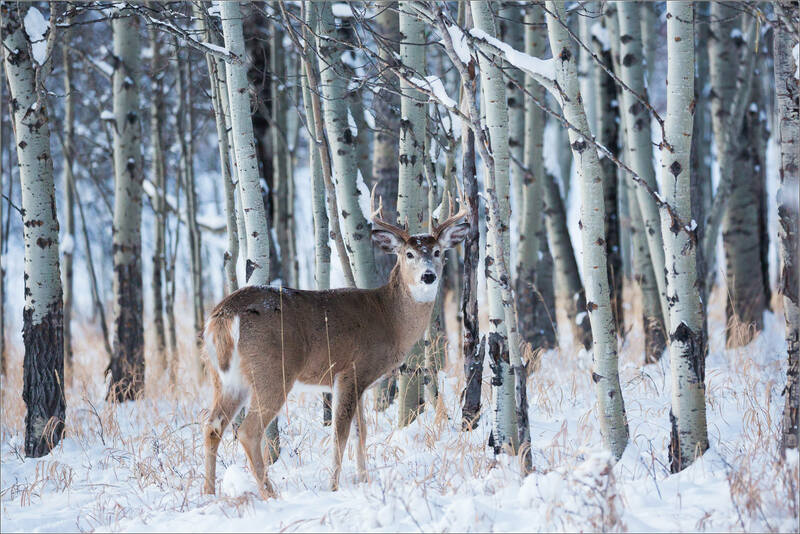 The morning mists in Bragg Creek get caught in the trees when they start to dissipate as the day warms up. 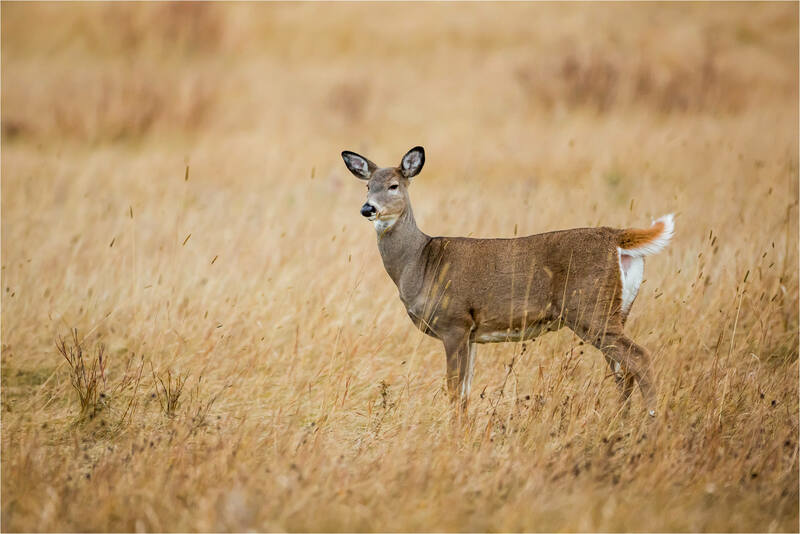 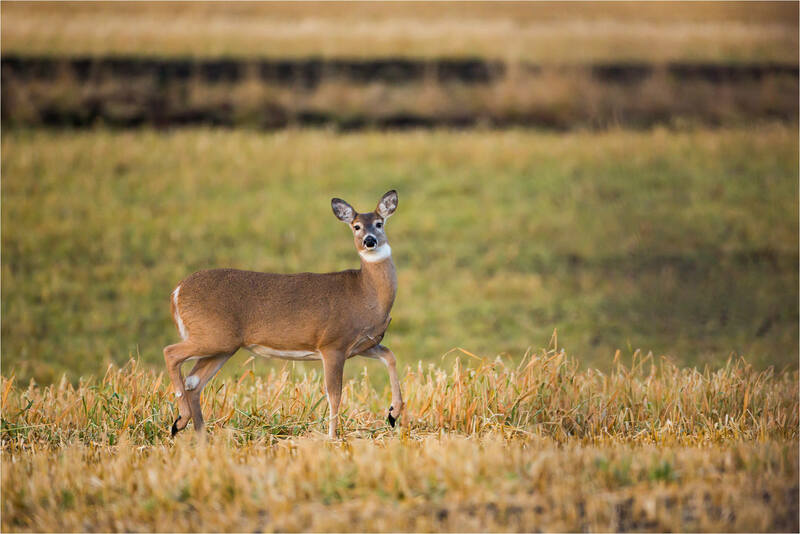 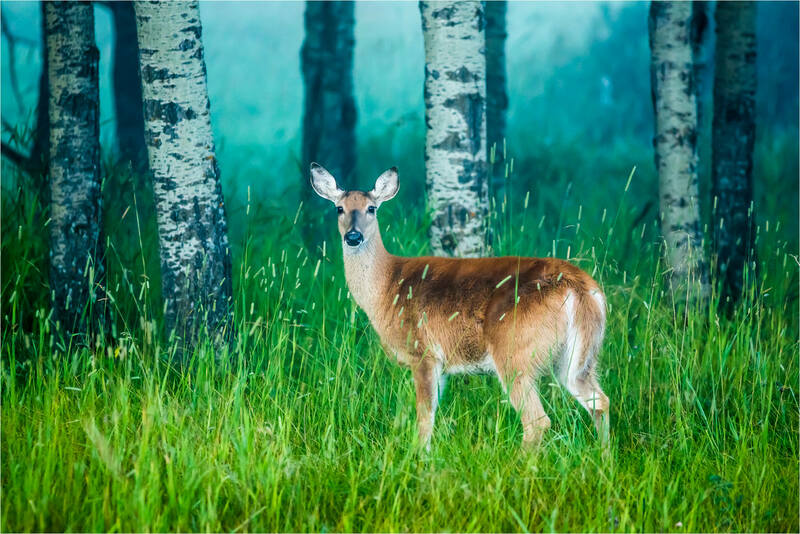 It provided a nice background when I saw this White-tailed deer walking through the wet grass.